We list a big range of Hp desktops. Below is a quick guide to some of our most popular Hp models. Hp Pavilion desktops offer great specs at an affordable price. This range is designed for everyday home use, entertainment and gaming. The ProOne and EliteOne family are Hp’s range of business all-in-one PC models. This range offers business and enterprise features with its minimal footprint and sleek design. Hp Prodesk’s PCs are the flagship business range offering business features, performance and solid construction at an affordable price. Elitedesk PCs are Hp’s premium business range which undergo Hp’s demanding testing process which promises a durable and reliable machine. These range of computers come in a variety of form factors including small form factor, mini desktop and tower models. Hp Z Workstations deliver impressive professional 3D graphics and outstanding performance even from the most demanding applications. This mobile series is recommended for users of CAD and professional photo/video production applications. HP Z2 G4 i7-8700 4.6GHz 8GB RAM 1TB HDD WiFi Mini Desktop with Windows 10 Pro + HP 5 Year NBD Onsite Warranty! HP Z2 G4 i7-8700 4.6GHz 8GB RAM 1TB HDD P400 Small Form Factor Desktop with Windows 10 Pro + HP 5 Year NBD Onsite Warranty! 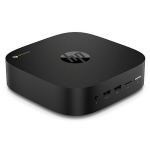 HP Z2 G4 i7-8700 4.6GHz 8GB RAM 256GB SSD P600 WiFi Mini Desktop with Windows 10 Pro + HP 5 Year NBD Onsite Warranty! HP Z2 G4 i7-8700 4.6GHz 16GB RAM 256GB SSD P620 Small Form Factor Desktop with Windows 10 Pro + HP 5 Year NBD Onsite Warranty! HP Z2 G4 Xeon E-2124G 4.5GHz 16GB RAM 512GB SSD P600 WiFi Mini Desktop with Windows 10 Pro + HP 5 Year NBD Onsite Warranty! HP Elitedesk 800 G4 i7-8700 4.6Ghz 32GB RAM 256GB SSD GTX1060 Tower Desktop Workstation with Windows 10 Pro + HP 5 Year NBD Onsite Warranty! HP Z2 G4 i7-8700 4.6GHz 16GB RAM 512GB SSD P1000 Small Form Factor Desktop with Windows 10 Pro + HP 5 Year NBD Onsite Warranty! HP Z2 G4 i7-8700 4.6GHz 16GB RAM 512GB SSD P1000 Tower Desktop with Windows 10 Pro + HP 5 Year NBD Onsite Warranty! HP Z2 G4 i7-8700 4.6GHz 32GB RAM 512GB SSD P620 Small Form Factor Desktop with Windows 10 Pro + HP 5 Year NBD Onsite Warranty! We accept Visa, Mastercard, Debit Cards & Bank Deposit. Prices are in NZ Dollars and include GST.